[PDF] Multiplex Biomarker Techniques: Methods and Applications (Methods in Molecular Biology) | Free eBooks Download - EBOOKEE! Description: This detailed book arrives as there is an increasing need for multiplex biomarker readouts for improved clinical management and to support the development of new drugs by pharmaceutical companies, due to continuous technical developments and new insights into the high complexity of many diseases. Chapters explore the basic technology platforms being applied in the fields of genomics, proteomics, transcriptomics, metabolomics, and imaging, which are currently the methods of choice in multiplex biomarker research. The book also describes the chief medical areas in which the greatest progress has been made and highlight areas where further resources are required. Written for the highly successful Methods in Molecular Biology series, methodology chapters include introductions to their respective topics, lists of the necessary materials and reagents, step-by-step, readily reproducible laboratory protocols, and tips on troubleshooting and avoiding known pitfalls. 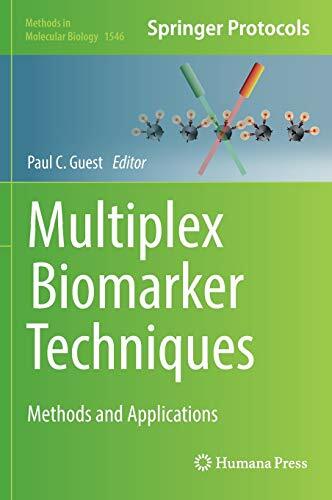 Multiplex Biomarker Techniques: Methods and Applications serves as an ideal resource for a wide variety of researchers interested in these vital multiplex techniques. No comments for "[PDF] Multiplex Biomarker Techniques: Methods and Applications (Methods in Molecular Biology)".